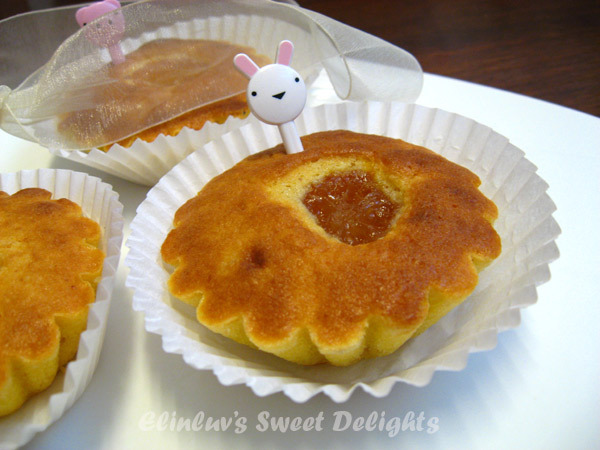 I am sure many of you would have seen these Kumquat Almond Tea Cakes on Wendy's blog - Table For 2.... Or More :) I was inspired to bake them after reading her post on this kumquat fruit and how she made her own kumquat compote , pureed them and used them for this tea cakes. I cannot imagine how it would taste like so I just had to bake them to satisfy my curiosity and with some luck, I found fresh stocks of fresh kumquat in Jusco a week ago. I hugged the two tubs of fresh kumquat like precious gold and smiling all the time ( if I knew, I would love it , I would have taken the whole lot back home with me and make them into kumquat jam )and WB asked me why was I smiling like I hit the jackpot - told him that these fruits are seasonal and I don't have to wait till next year to try out this delicious tea cakes ! I really have to thank Wendy for sharing the recipe with us on her blog. I baked a bigger load and shared the tea cakes with my dear friends, Kitty and Ronnie and Claire my dear buddy and not to forget my dearest Piggy Cuz. Guess what ! they all loved it !!! And Kitty can't wait to bake them herself :) hopefully she can still finds them in Jusco. They are easy to make and I can easily eat 3-4 at one sitting. It is aromatic and it tastes awesome! 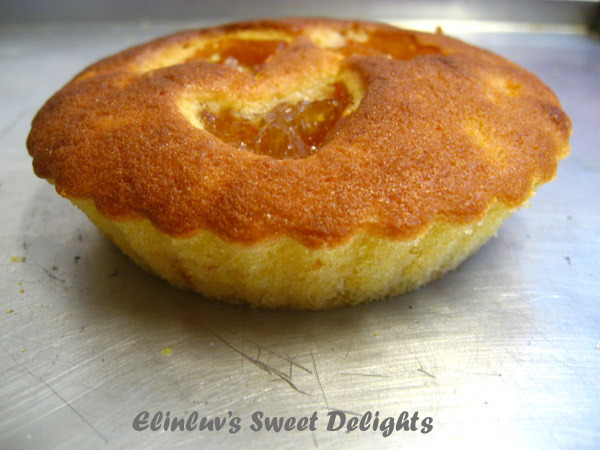 Rest assured, if I see them in Jusco, I will buy more and make them into compote so that I can have this tea cakes for high tea for the next few months :) lovely fragrance...mmmmmm just thinking of it makes me hungry and wish I could have them again. I have one third left in the bottle which I am keeping it for something else. 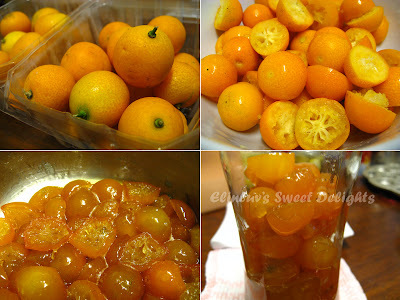 I hope to make biscuits /cookies/scones with the leftover kumquat compote. they too want to savor the cake ! or there would not be any left for me LOL! 2. Sift flour and baking powder. Mix with ground almond, set aside. 3. Cream butter and sugar until light and fluffy. 4. Beat in eggs one by one, beating well after each addition. 5. Put in (2) in 2 additions, mixing well after each. 6. Mix in kumquat puree. 8. Bake for 12 mins (2 inch) or longer for larger tins. 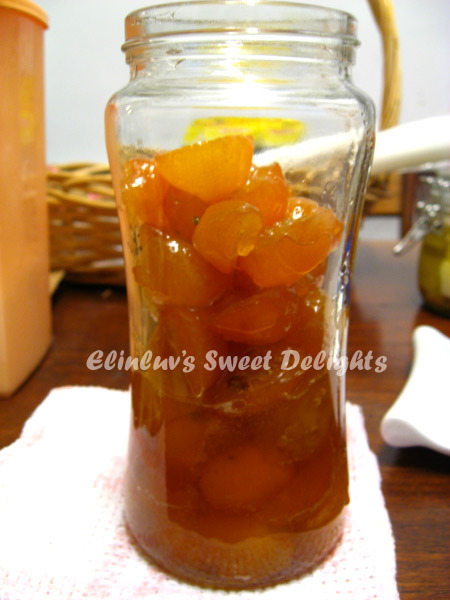 Half kumquats and remove seeds. Put cleaned kumquats, sugar and water into a saucepan and cook (on med heat)until the kumquat looks glossy and soft. Remove 18 pcs of halves and puree the rest with some of the syrup. Unused puree can be eaten like jam. Ooh... This must be very delicious and I'm drooling now. I don't think I can find kamquat here as the CNY already over. Will definitely try it next year. 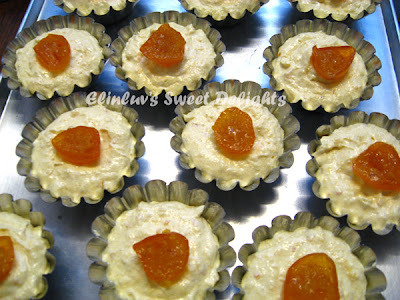 although i never made them, i was able to taste these delicious teacakes..wendy brought them to the potluck...lucky hor? I have made the Kumquat jam and compote after I have seen Wendy's blog, the jam taste so good, I'm surprised that i have seen fresh supply of kumquat again in JJ though CNY is over, must stock up. Looks as good as Wendy's:D I need to go search for kumquat again to try this recipe! Wendy brought this to my house and it was tasted good. But some how my kids don't really apprecite this cake, so i have no chance to try out myself. If you have any problem understanding how to make them, just call me ya and I will guide you thru :p after which dinner on you :p Happy Baking to you...I am sure Ron will appreciate what you baked. He praised you for the herbs bread you bake for him...so how true that is.....the way to a man's heart is through the stomach !!!! The flavour of kumquat is addictive right? I haven't step foot into Jusco for almost a month already ah!!!!! So geram. I wish , really wish they still have kumquats the next time I go. oh yes, dun worry, I won't hammer ur head. I will only kill you, LOL. 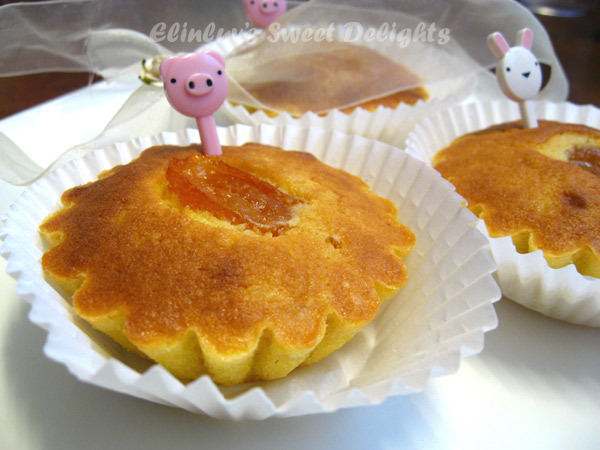 The 3rd time I baked this (for the potluck) I ran low on kumquat halves, so I halved the halves (became quarters). They all sank la. 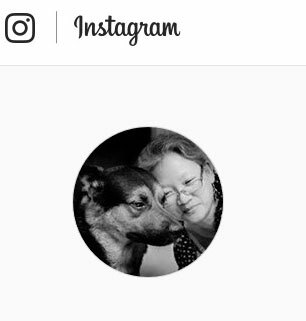 So you see.. even the "sifu" has her bad times, hahaha. These are so pretty and awesome. 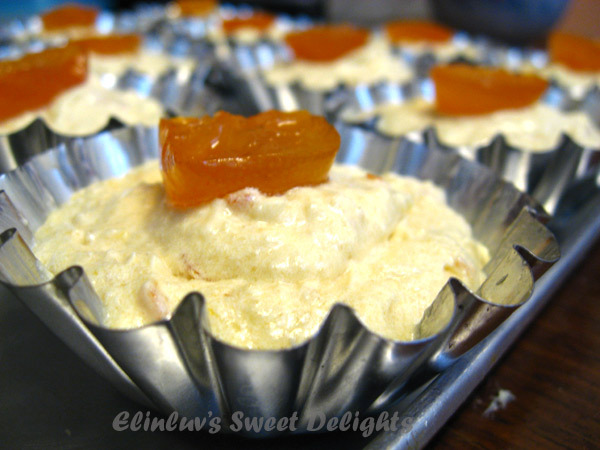 What beautiful tea cakes...the dollop of kumquat compote is a yummy touch! Wow, these look beautiful! 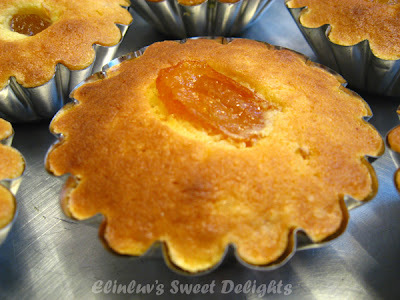 Kumquats are such a great fruit, I bet they lend a great sweet and sour mixture to the cakes. These cakes are adorable! 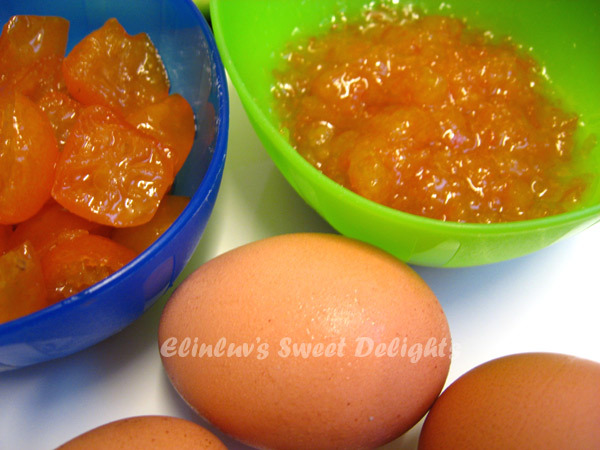 I've always wanted to try kumquats but in all honesty I had no idea what to do with them! The tea cakes & the compote both sound so good I think I might buy extra to try both! Yum! I luv desserts & I trust u will inspire me to bake very soon!